Hello UAE! Thanks for following my blogs. 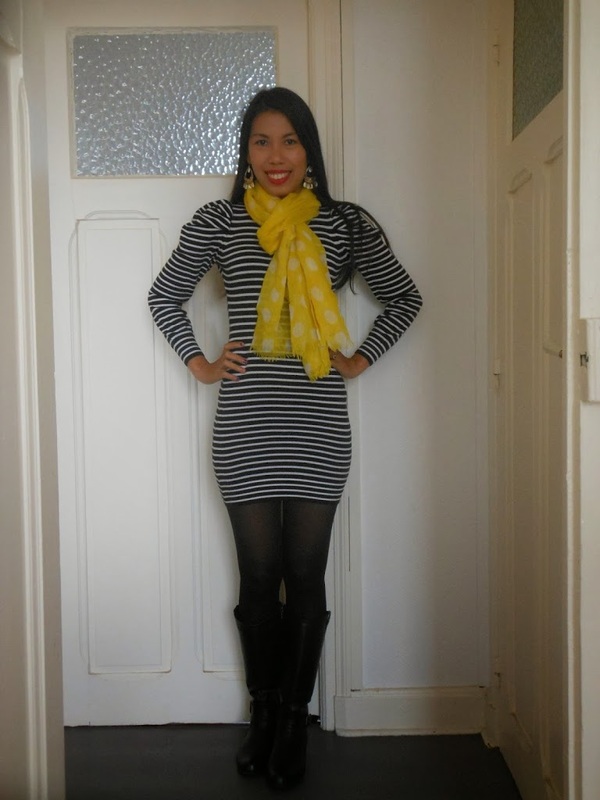 :)It’s cold and raining today, I grabbed some thick clothes to protect myself from cold. Je déteste le froid. I hate cold. If only I have power to maintain the summer weather I already did. I just wanna stay home in my bed but I need to do things. I have to brave the weather. 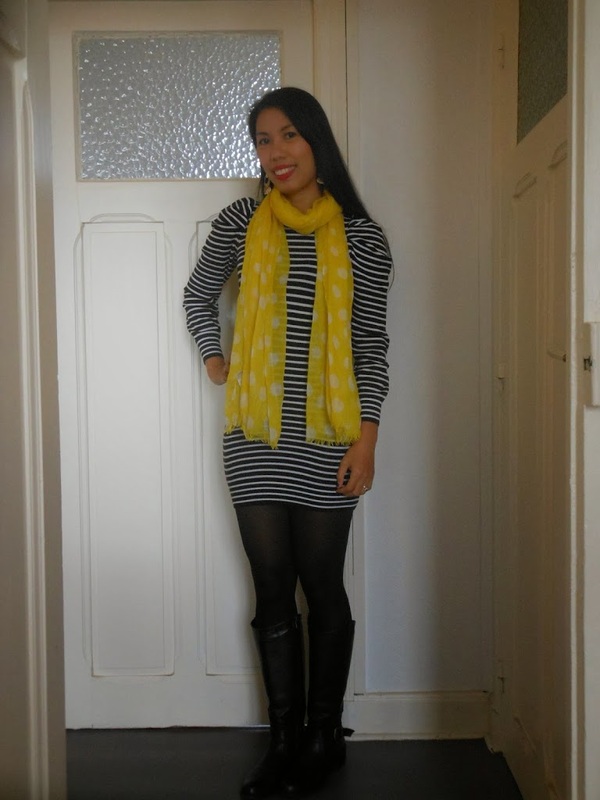 brrrrr…..
I’m wearing a dress from ZARA and a scarf I bought in Italy. The classic black and white stripes give it a chic look. What do you usually wear under the rain? Leave me some comments and suggestions analyn@milallos.com.